The family law and divorce attorneys here at Massey, Stotser & Nichols, PC have done our best over the years to help grandparents in Birmingham gain visitation rights with their grandchildren. However, visitation rights for grandparents is a complicated legal issue because of the US Supreme Court decision in Troxel v. Granville, 530 U.S. 57 (2000). In that case, the court held that parents have a constitutional right to rear their children. Based on that, the court declared unconstitutional a Washington state law that allowed any third party to petition for child visitation rights over the objections of the child's parents. Here in Alabama, the state legislature has passed legislation that is intended to permit grandparents to have visitation rights over the objections of the parents. See the Grandparent Visitation Act, codified at Ala. Code, § 30-3-4.2 ("the GVA"). A previous version of the GVA was struck down in 2007 by the Alabama Supreme Court pursuant to the reasoning of Troxel. The Alabama legislature amended the statute and, so far, the statute has withstood constitutional challenge. Ala. Code § 30-3-4.2(e). Section 30-3-4.2(a)(2) defines "harm" as "[a] finding by the court, by clear and convincing evidence, that without court-ordered visitation by the grandparent, the child's emotional, mental, or physical well-being has been, could reasonably be, or would be jeopardized." Further, § 30-3-4.2(c)(1) states that a parent's decision regarding visitation is presumed to be in the best interest of his or her child. 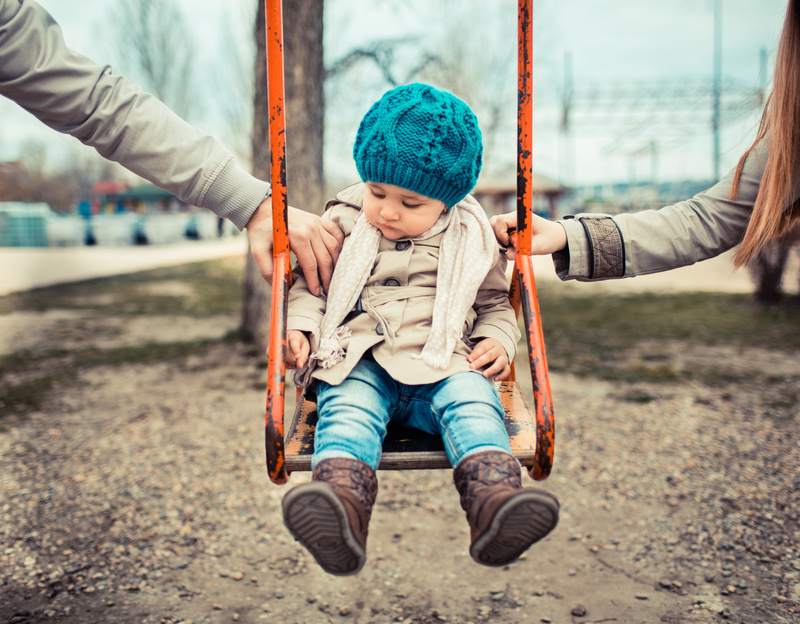 The Alabama Courts of Appeal are split and in disagreement about what conditions will allow a grandparent to overcome a parental objection to visitation rights. The issue turns on the interpretation of the "likely to cause harm to the child" language in § 30-3-4.2. Grandparents are making the argument that the loss of the relationship with the child IS a "harm to the child." One case has rejected that argument; another has accepted that argument. The case of Ex parte Michael Gentry, Case No. 2160300 (Ala. Civ. App., May 5, 2017) (appeal from the Jefferson Circuit Court, CV-16-280) in an example of the former. In that case, the maternal grandmother and stepgrandfather filed for visitation over the objection of the father. According to the trial court, the maternal grandmother established a significant and viable relationship with the children because she had been the caregiver to the children on a regular basis for at least six months and had been in regular contact for at least 12 consecutive months. The court also held that it was "in the best interest" of the children that visitation rights be granted. However, no evidence of "harm to the child" was produced or discussed by the trial court. Nonetheless, the court awarded visitation to the grandparents. "proof that a grandparent has a close, beneficial relationship with a child is not equivalent to proof that the child will suffer harm if that relationship is limited or terminated. Furthermore, evidence of a beneficial relationship alone fails to rebut the presumption in favor of a fit parent's decision." Essentially, the loss of a relationship with a grandparent is not a "harm to the child," or at least not enough of a "harm to the child" to overcome a parental objection. This is similar to how New Jersey interprets its version of the GVA. See Mizrahi v. Cannon, 375 N.J. Super. 221, 867 A.2d 490 (App. Div. 2005). New Jersey courts require evidence that denying visitation would "wreak a particular identifiable harm, specific to the child ..." For New Jersey courts, only such a particular harm is sufficient to justify interference with a parent's fundamental due process right to raise a child free from interference. By contrast to Ex parte Michael Gentry and the New Jersey cases, in the case of D.T. v. W.G., Case No. 2160082 (Ala. Civ. App. March 3, 2017) (appeal from Tuscaloosa Probate Court, PC-16-610) it was held that the loss of the relationship with the grandparent was a sufficient “harm to the child” to warrant granting grandparent visitation rights. Again, it was a maternal grandmother seeking visitation rights. As noted, after describing the extensive relationship between the child and the grandparent, including the fact that the grandparent was the only connect to the father’s side of the family, the court concluded that the loss of the relationship with the grandmother was a "harm to the child" and a harm sufficient to overcome an adoptive mother's objection to the grandmother's visitation requests. The trial court granted visitation and the Court of Appeals affirmed. As can be seen, grandparent visitation rights are complex. If you are a grandparent seeking visitation rights with your grandchildren, you must seek out experienced and dedicated divorce and custody attorneys like the ones at Massey, Stotser & Nichols, PC. We can help build the case and compile the evidence that will clearly show "harm to the child" if you are not allowed to visit with your beloved grandchildren. We are a full service Birmingham, Alabama law firm that serves clients in the cities of Birmingham, Alabaster, Ashville, Bessemer, Clay, Fultondale, Gardendale, Homewood, Hoover, Leeds, Moody, Mountain Brook, Oneonta, Pelham, Pell City, Pinson, Springville, Trussville, and the surrounding areas. Our other practice areas include business law, real estate, automobile accident law, wrongful death, and personal injury law. DO YOU NEED HELP WITH GRANDPARENT VISITATION?